Temperatures on St. Patrick's Weekend feel more like summer than spring. For an unprecedented fifth day in a row, a record-setting high temperature is expected in Chicago. A high of about 80 degrees is likely for Sunday, NBC Chicago Meteorologist Pete Sack said. The previous record high was just 74 degrees. Saturday, temperatures at O’Hare International Airport soared to 82 degrees. The record high temperature for March 17 had been 74 degrees, which was set in 2009. 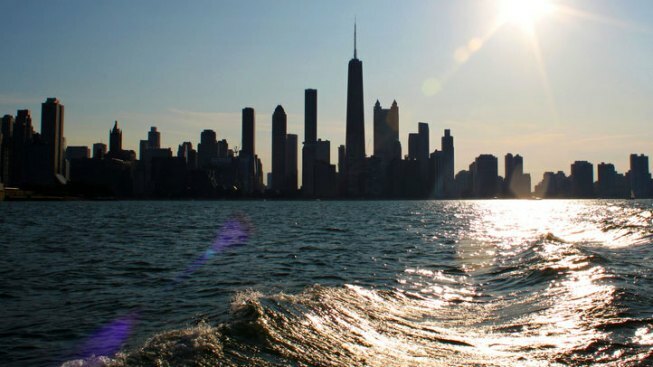 Friday’s high of 82 degrees beat the old high temperature record for March 16 of 78 degrees, set in 1945, as well as setting the record for the earliest 82-degree day in Chicago, which had previously been set in 1945. The new record comes on the heels of high temperatures of 81 degrees on Wednesday and Thursday, which smashed the record highs for March 14 and 15, according to the weather service. The normal high temperature for March 16-18 in Chicago is 47 degrees, according to the weather service. We are in the midst of a record-setting pattern of warmth, and it isn't over yet. Daily record highs and record warm lows could be set for several more days, Sack said. We're also set to shatter the record for the highest average temperature in March, also set in 1945. The normal average high for March is 37.9, and as of Friday, the average for the month is near 47, with highs in the 60s predicted for at least the next week. The average high in that record-setting 1945 March was just 48.6.